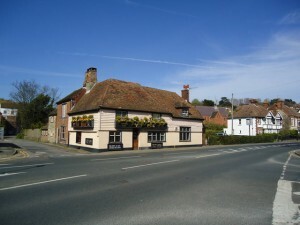 We will be hosting an Olympic get together at The Bell in Hythe from 12.30 on Wednesday, 18th July. We will be providing bubbles, snacks and if you’re lucky some cake! Luke’s relay will be at 1.06pm starting near the Romney Hythe and Dymchurch Railway station. 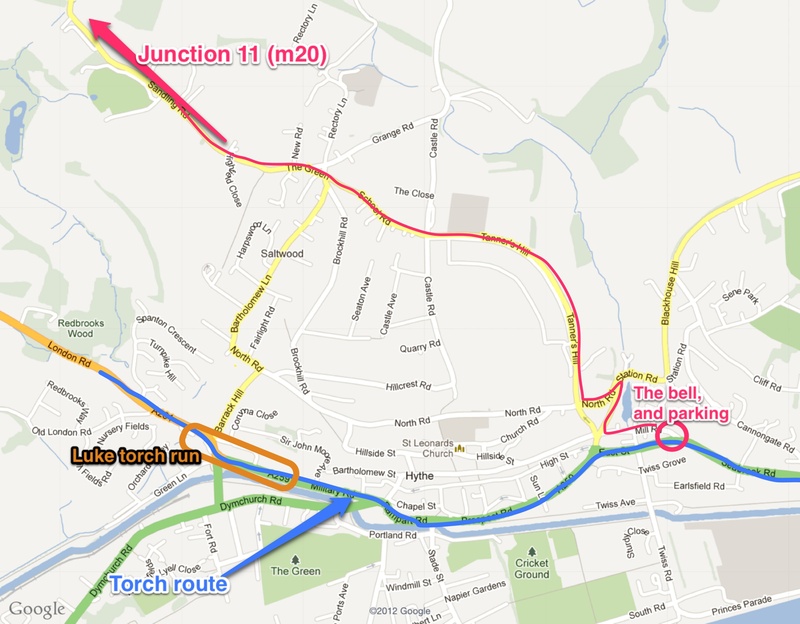 The blue line on the map represents the torch route. This route will be closed to traffic on the day. 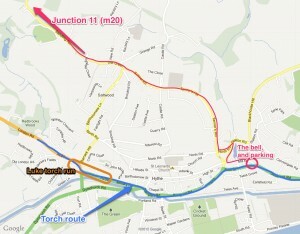 The best route to drive is from the motorway, marked in pink on the map. Parking will be tight, but we have reserved parking at the Bell.